Sputnik: Why do you think China is so interested in Africa? It is still viewed as an underdeveloped continent in terms of economy. Of course, it's very rich in natural resources. 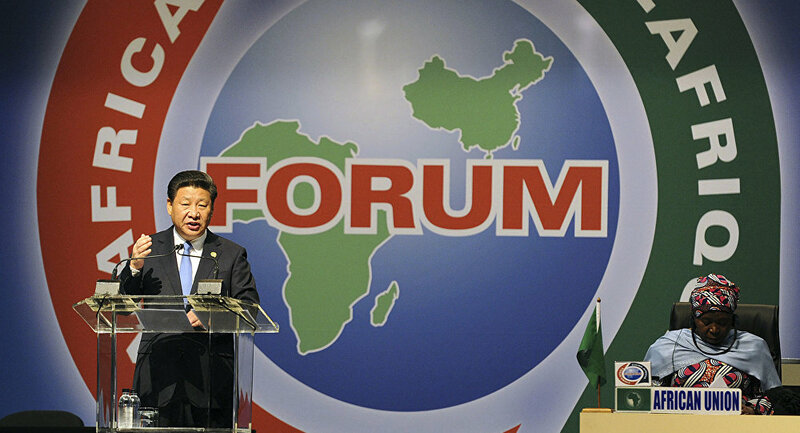 Is that the primary drive or how do you see China's interest on the African continent? Lina Benabdallah: I think it is a combination of a lot of things. I mean, first of all, you mentioned the natural resources, but I think it is a combination of a lot of things. The African continent is huge. There is a growing, sizable middle class in a lot of countries; you can imagine that that represents a big market for Chinese goods. So it's not just a place for natural resources, it's also a place to think of Chinese goods targeting the different African countries' middle class. Relations between China and African counterparts have also been increasingly turning towards military and security relations, so that's very interesting as well. So I would say natural resources, economic interests, but also security. China is interested in Africa because it's also an opportunity for China to show global leadership, to play a role in international peacekeeping, in conflict resolution and providing peace and security. It's a place for Chinese diplomacy and Chinese foreign policy to not just experiment, but also to gain experience and to gain global leadership status. Sputnik: What do you think about competition between China, the EU and the US for influence in Africa? Lina Benabdallah: I think that China has been for the past 10 to 15 years gradually increasing its presence in Africa; I think it is very serious player by now. I think there are several places in which China, the US and the EU can cooperate, but there are other areas where there is clear competition. There have been interests in trying to triangulate the relations and trying to work towards certain goals, providing development aid, for example. There are lots of places where "more is better," but it's definitely the case that more recently we see China as playing a more assertive role and as playing a very serious competitive role in Africa; not only in the economic sector, but also, more recently, in sectors as diversified as assistance, military and security relations.